The Nigerian Army on Friday said allegations against it by retired its former chief, Theophilus Danjuma, that it colluded with killers Taraba and refused to protect the people were untrue. The Chief of Army Staff, Tukur Buratai, made this known at a news conference in Abuja where he gave details of the findings of the 10-member panel the Army constituted to probe the allegations. 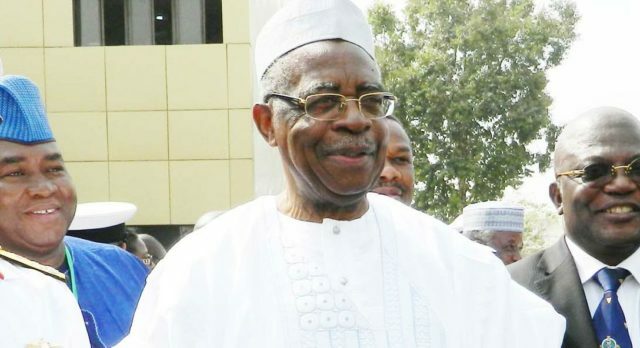 Mr Danjuma on March 24 at the convocation of Taraba State University in Jalingo, said that some troops on internal operation in Taraba colluded with killers and herdsmen who attacked communities in the state. He said the troops failed to protect the residents against the attacks. The former defence chief said that the unnecessary killings, which were akin to “an act of ethnic cleansing” being perpetuated against the people of Taraba, specifically and Nigeria at large, must stop. But Mr Buratai, who was represented by Nuhu Angbazo, Chief of Military/Civil Affairs, said: “With respect to the statement by Lt.-Gen. T.Y. Danjuma, it is clear that the allegations were not true. He exonerated the army, saying that there was no collusion between it and bandits in Taraba as alleged by the former chief of army staff. He stated that the panel found that Taraba governor made several attempts to remove the Commanding Officer of 9 Battalion, I.B. Gambari, a Lt. Col., for “his refusal to be dragged into the state politics’’. Mr Buratai also alleged that the chairman of Takum Local Government Area attempted to undermine the authority of the commanding officer but did not give detail. He commended the officer and troops on operation in the state for their conduct.